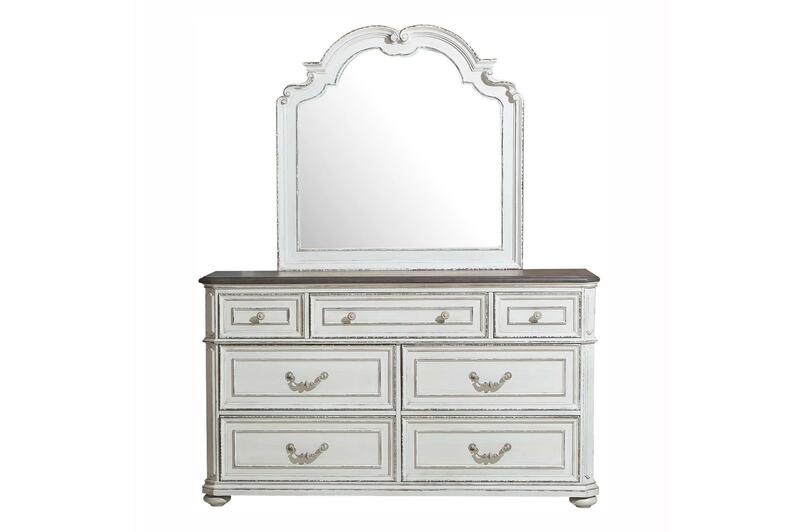 Inspired by the look of French Provincial styling, the Willowick Collection lends an air of classical romanticism to your opulent bedroom. Bold curves, elegant framing, and the lightly distressed finish create eye-catching drama while antiqued hardware and turned feet are the decorative accouterment that ties the look together. 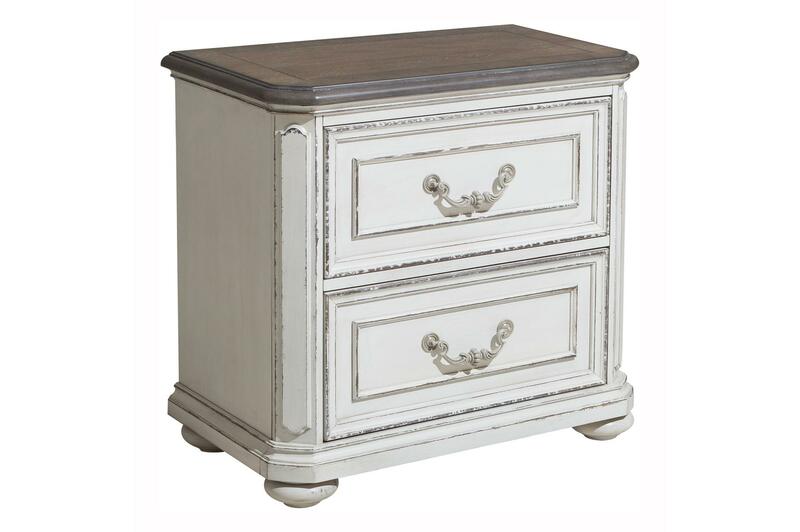 Subtle rub-though of the antique white finish reveals grey undertones, that when paired with brown cherry finished tops, serves to highlight the poplar solids, along with the oak and birch veneers. 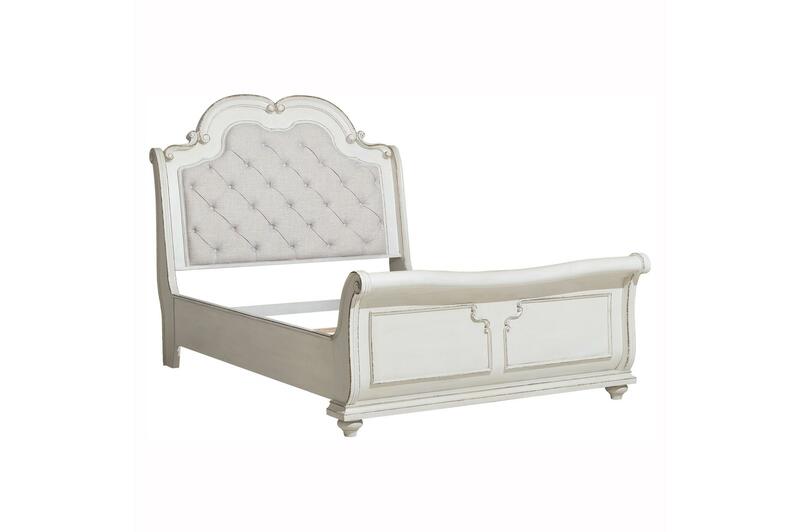 Two beds are available – the wood panel bed and the dramatic sleigh bed, with button-tufted neutral tone linen headboard insert.